Great weekend – the highlight being spending Saturday with good friends to celebrate terry’s 50th birthday …. in Krispy Kreme … different we know – which is why we did it! I know they are a big company and everything and its ‘in’ now to knock big companies – but the staff, especially Jess, made this an incredibly lovely experience. WE laughed, made doughnuts, drank great coffee, ate doughnuts and laughed more! 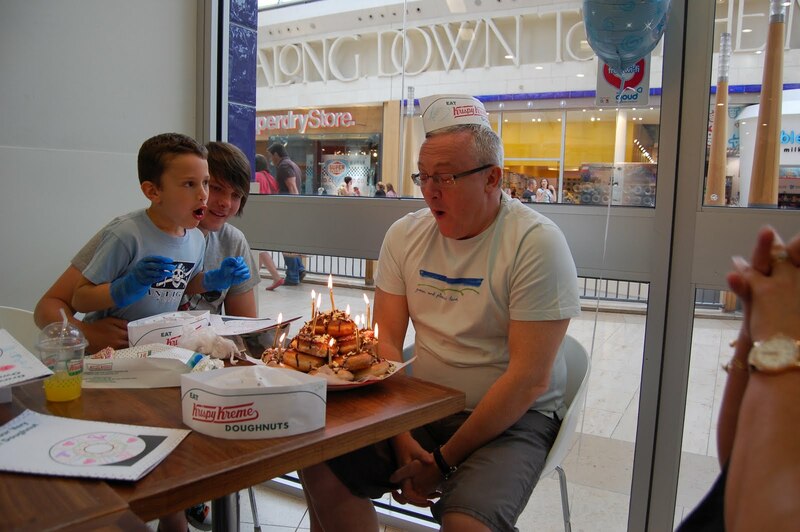 If you want a party with a difference which is well run – try out Krispy Kreme! Also, if you are part of a charity check out their fundraising offer where you can buy doughnuts from them cheap to sell at events and make money. This entry was posted in family, friends by robryan65. Bookmark the permalink.